Woodhouse reef is the longest and narrowest of the four reefs located in the straits of Tiran. The dive here is often done as a drift dive along its eastern side. Be careful at its northern point, because the current is strong here and can sweep you off the reef right into the shipping lane. Coral growth is excellent but at some parts sedimentation of the coral can be seen. This mainly because it is sheltered from the main current that flows through the channel. While drifting along the reef you will see many different species of fish. The wall is not steep but continues to great depth at the deeper parts of the strait of Tiran. 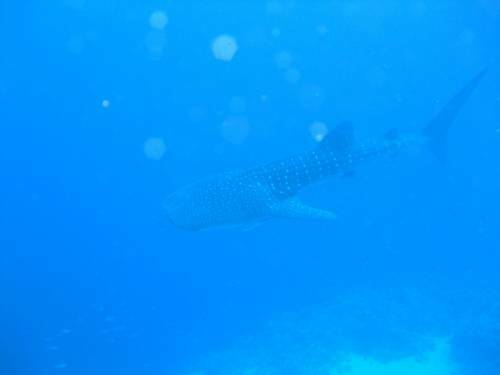 Fish variety is excellent and you will encounter many reef sharks and eagle rays. Take a look at the sandy passages and look for sleeping sharks. You will see pelagic such as tuna, trevally and jacks, but also fusiliers and many types of reef fish.